Training for staff directly involved in Dangerous Goods Handling and Transport. IMDG Code Standard Training for general shipping personnel such as booking office staff, administrators, customer support and office personnel who require a sound working knowledge of the IMDG Code and dangerous goods shipping requirements. IMDG Code Consignor/Freight Forwarder For personnel with a management, supervisory and/or safety/compliance role for a company involved in dangerous goods consignment operations, for example, a shipper or freight forwarder. IMDG Code Packer/Cargo Handler For those who pack dangerous goods and/or are involved in loading and unloading cargo transport units. IMDG Code Ship Loader For personnel responsible for and/or directly involved in ship loading and unloading operations. 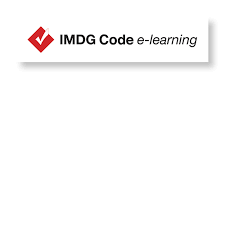 Courses will be set up on the IMDG Code e-learning administrator system. Price shown below are for each of the above modules. For more than 10 people, please contact our sales department for a quote.